In the new year, I used three of my KDP free days to promote the first book in The Conjurors Series, The Society of Imaginary Friends. I was determined to put everything I had into the campaign in order to maximize downloads of my free book and hopefully convince readers to continue with my series. I’ve been exclusively selling my books through Amazon since I began self-publishing, and have been toying with the idea of making my books available with other retailers (and thereby enabling the first book in the series to be perma free). This promotion was my final push to see if I could get a serious number of downloads of my free book using Amazon alone. I’ve never spent more time (or money) promoting my free days, than this round. I submitted my book’s info to more than 70 sites that list free ebooks, and paid for placement on Book Goodies, Book Goodies Kids, The Fussy Librarian, Genre Pulse, Free Books Daily, FK Books and Tips, and through Fiverr with bknights. None of these ads were expensive (almost all were under $10), but it’s still more than I’ve ever spent promoting my book. So what was the result? A lot less downloads than I had when I ran my last free promo in the summer (when I submitted my information to about 30 sites that list free books, and that was it). Same cover, same blurb, more positive reviews than ever. Below are my stats from my last two KDP select free promos. I don’t think it’s worthwhile to make guesses about why my promo was so weak this time around (or lament how hard it is to give a book you’ve spent hundreds and hundreds of hours on away for free). Instead, I’ve assembled a list of do’s and don’ts for your next KDP select free promo based on all of the free promos I’ve run since I began in 2011, in hopes that your next promo goes better than mine. DO be flexible about what days your book is free if it means being listed on a major site like Bookbub or Pixel of Ink. I wasn’t lucky enough to snag a spot on either site, but authors who have report thousands and thousands of downloads, which pays for their free promos many times over. But they have a limited number of slots, so be willing to work your schedule around theirs. The impact will be worth it. DO track where your book was actually posted, to the best of your ability, and see if you notice any trends/spikes based on when different sources posted your book. Whether you run your next free promo through KDP select or make your book perma-free, like I’m planning to do this year, you will have future promos of your free book. It’s worth it to track which sites gave you the most love, so you know where to focus your attention for future campaigns. DO your due diligence on having a professional cover and blurb. Spend the money to have a strong, professional cover created for your book, and make sure your blurb has been run by an editor, as well as a good number of readers you trust. For a relatively unknown writer, having a weak cover or book description will break your promo. DON’T spend a lot of time submitting your information to the dozens of small sites that list free and discounted books. Many sites will only result in a download or two, nowhere near what you need to rise up the rankings (where your visibility will begin to drive your numbers). Finding these sites and submitting your info is a surprisingly huge time sink, that would probably be better spent writing your next book. Note: For a paid promo of your book, it might be a different story. Sites that are willing to post your paid book and yield a couple of downloads can be hugely impactful for your numbers. DON’T inundate your Twitter and Facebook feeds with your freebie announcements. Experts suggest posting links once or twice a day, but don’t be sending notices every hour. Not only is it annoying to fans and friends who follow you, but it isn’t an effective strategy. For most authors, sales are not driven through these mediums. That’s not to say it isn’t worth getting the word out, but keep it simple. I’d welcome any additional tips you have on how to run a great free promo of your book. This entry was posted in Self Publishing and tagged free days, free ebook downloads, KDP select, maximizing downloads of your free ebook, self-publishing, writing by conjurors. Bookmark the permalink. I’m glad I found your blog! 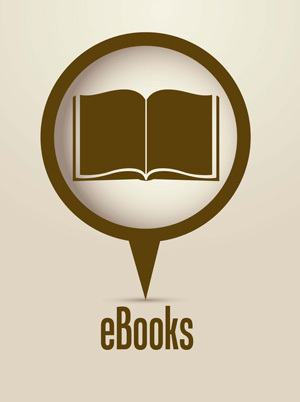 It appears to be a treasure trove of good self publishing information. Great tips! By the way, you may want to also check out iAuthor.uk.com. Its free and while I haven’t seen downloads in the 1000s from it by any stretch, I’ve still seen actual sales so WELL worth the cost. This is awesome, thank you! Adding it to my list. Kristen: You might consider you did not do well in the January FREE run, but you did. January is one of the slowest months in our ebook universe. Readers bought swags of Christmas books in boxed sets in December and the market just plain lags until the last week in January, when it starts perking again. I have seldom seen great sales in July either, unless I engage in well-designed group promotions. I think you did great. Thanks so much, Jackie. I had no idea about the January slump. This actually makes me feel a lot better!